God has shown tremendous faithfulness to Bethel over the last three decades. This is just a glimpse of our story and a testament to God's work in this ministry. Under the direction of founding pastor Rev. Hector Ramos, Bethel Christian Church opens with its first worship service in a home in Bithlo, Florida on February 19, 1983. After the founding of the church, membership quickly grew and the need for a larger facility arose. The leadership of Bethel made the decision to rent a small mobile home in east Orlando from a local Baptist church to facilitate their growing needs. The Baptist Church agreed to sell Bethel the mobile home, along with all the surrounding land for only $1.00 with the sole condition that the property would always be used as a church. Each member donated a penny towards the purchase of the property as symbol of his or her commitment to the ministry. Rev. Eliberto & Nereida Bonilla were announced as senior pastors of Bethel. Bethel begins to grow and a new building is constructed to facilitate the growth. Several years after the new building a second phase of construction is needed to accommodate our growing vision and purpose. 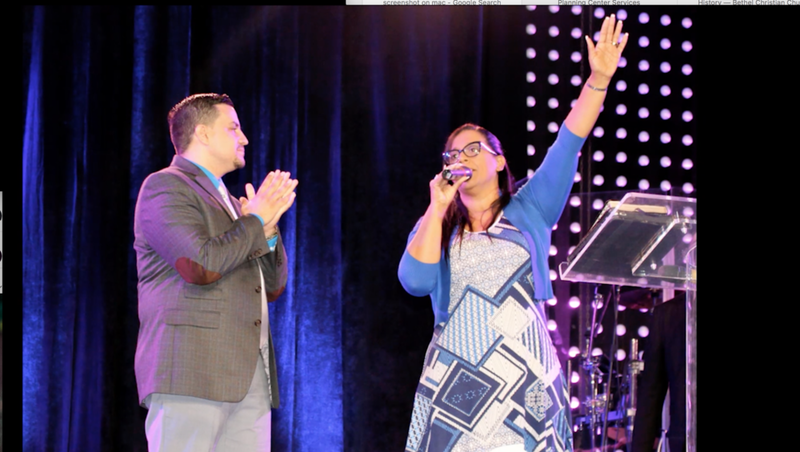 Pastor Eli Bonilla & Millie Gonzalez are named Lead Pastors of Bethel Christian Church.